A request- can you list where you purchased/tried the beers, for us locals? I'm guessing that the Hub doesn't stock this one. Also this website is a bit sketchy as it doesn't work at my desk at my office but works at my coworkers. It is www.greatbrewers.com it has a very handy Beer Finder search engine by zip code. Thanks for the review. 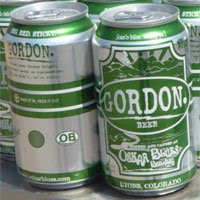 It will take some work to find Gordon, but I did pick up a six pack of Dale's on the way home last night. It was very good, though it felt odd to purchase cans of beer that didn't have "Light" or "Ice" printed on them. Jeven, be honest, it really felt weird purchasing cans that didn't have "Keystone" on them.